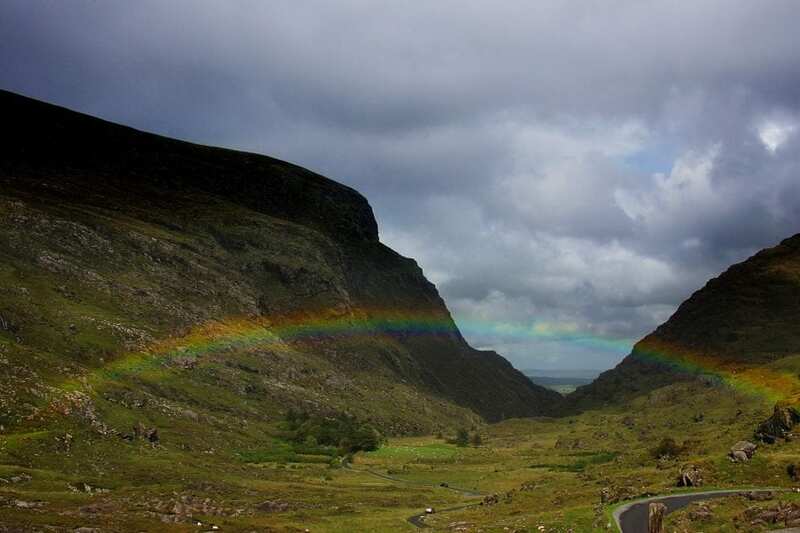 As a young boy living in the Gap of Dunloe in Kerry, Ireland Con Moriarty knew he had been born into an incredibly powerful place. An innately restless lad, he raced home from school each day intent on exploring the wild, primal land and jagged mountains that were his backyard. 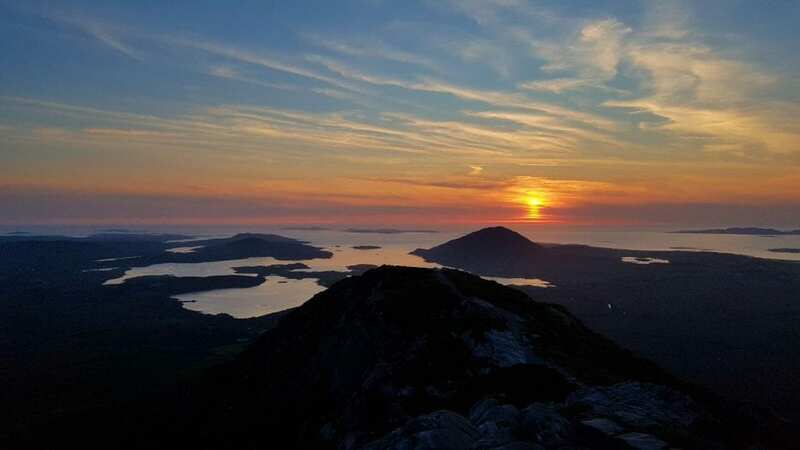 9,000 years of human habitation surrounded his home where he explored the McGillicuddy Reeks, kicked footballs off ancient headstones, and played amongst primordial tombs. A student of his homeland, young Con was keenly aware that the cultural imprint and spiritual resonance on the land where he grew up was as visceral as the air he breathed. Con also knew at an early age that he had found his calling. His passion lay in sharing his native land and the complex history that accompanied it. 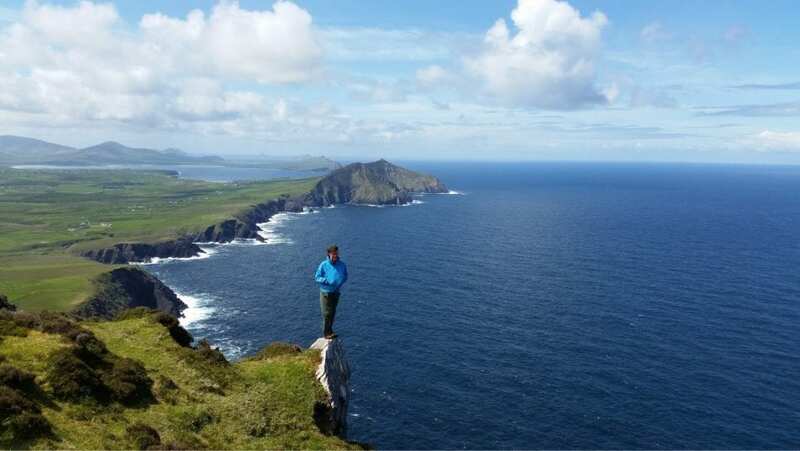 When Con was a teenager, visitors to Kerry called on him to guide them on hikes and adventures. They came from various socio-economic levels and corners of the globe. Yet regardless of status, all were profoundly moved and inspired by the organic experience that the curiously adventurous teen shared with them. Con Moriarty had found his voice and in doing so, began sharing his belief that the precious ability to experience the intimate joy and peace in being with the land is something anyone can enjoy. The seed of his deeply satisfying and impassioned career as a guide had been planted. Fate intervened in 1984 when Con met Binky Oswalt, a travel agent from Mobile, Alabama who had Irish family connections. The two struck up a friendship based on an aligned enthusiasm for Ireland: their desire to share its spectacular geography and intrinsic cultural appeal with travelers. Con Moriarty’s Hidden Ireland Tours was launched in 1986, and the kindred friendship between he and Binky eventually fostered a business partnership in 1989. A committed handshake sealed the deal; no corporate attorneys were needed. 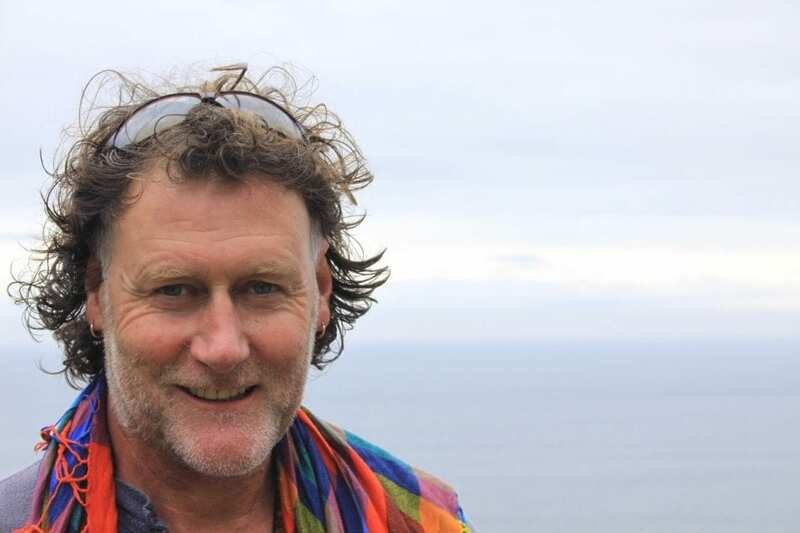 Throughout his lifelong journey as an adventure guide Con has viewed himself simply as a conduit that fosters an emotional/spiritual connection between his guests and the rich complexity of Ireland. The man is larger than life. 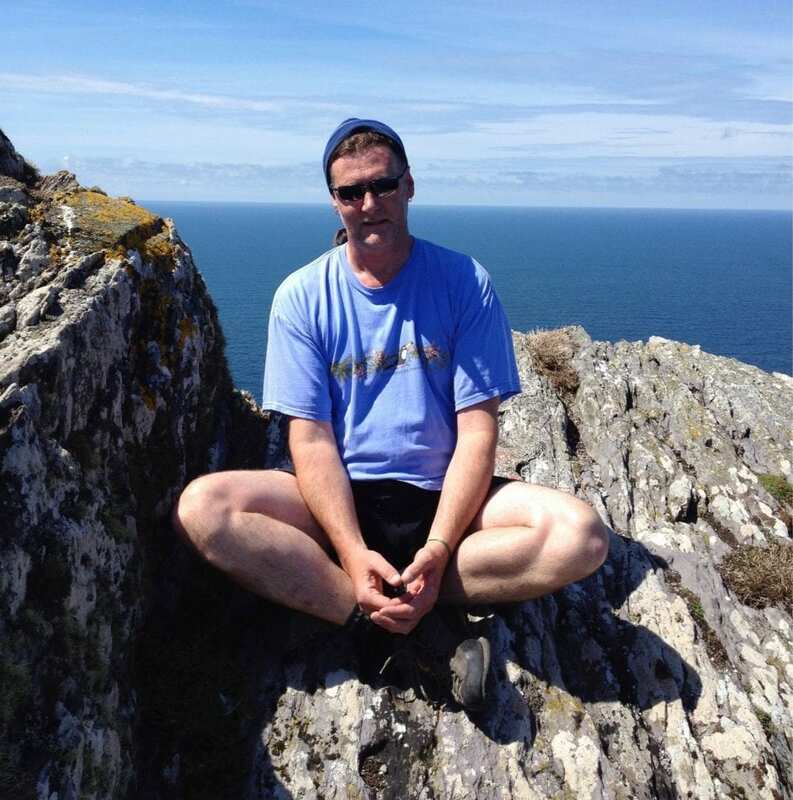 Standing 6’5” with piercing blue eyes and a smile that will surely illuminate any room, Con ebulliently (and often humorously) articulates Ireland’s rich spiritual and geographic history while walking with his guests through the country’s hidden gems. Later, over a pint of Guinness, warm conversation and an evening meal at a nearby pub, they collectively immerse themselves in the local culture. His guests see and experience extraordinary things, then go home and are often moved to write incredible letters – even poems sharing their emotional experience. Something moves in them. Con feels extremely blessed and maintains a deep desire to be present with his guests in those moments when they have that awakening – that personal connection with the land. 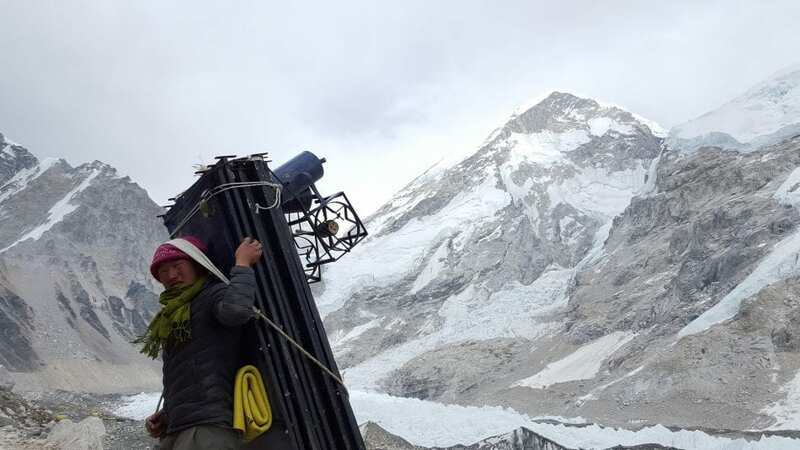 A true mountaineer, Con has spent his adult life climbing throughout the world including Patagonia, all over Europe, Nepal, Australia, New Zealand, and North America. A keen observer of world affairs, he feels an underlying tension about how tourism is profoundly changing the nature of many lands and the people who inhabit them. Much of it for the better, but not always. Con senses a deeply complex issue with fundamental concerns. “The immense power of the tools of modern communications and marketing in particular, along with a spectacular rise in awareness of wild places and the ensuing demand to bring these places into the reach of travellers and tourists make it clear that many challenges present. Of particular concern is how monetising of wild places and the sense that access to sacred places everywhere is now a right means that the very wildness and sanctity of these places are being eroded.” He asserted, “There are only so many times you can say, ‘This is the last unspoiled place.’” He remains expressly interested in working with people who are deeply conscious about how many trips they bring to a place before it changes the landscape and the people. Hosting one to four trips of select clients seems far more responsible to Con Moriarty than the dozens of trips that many tour companies who are primarily interested in building the bottom line often bring. Although he feels there is massive ambiguity about the concept of responsible tourism, Con also feels that the difficult but much needed conversations on that topic as well as conservation awareness and education are slowly beginning to take hold. 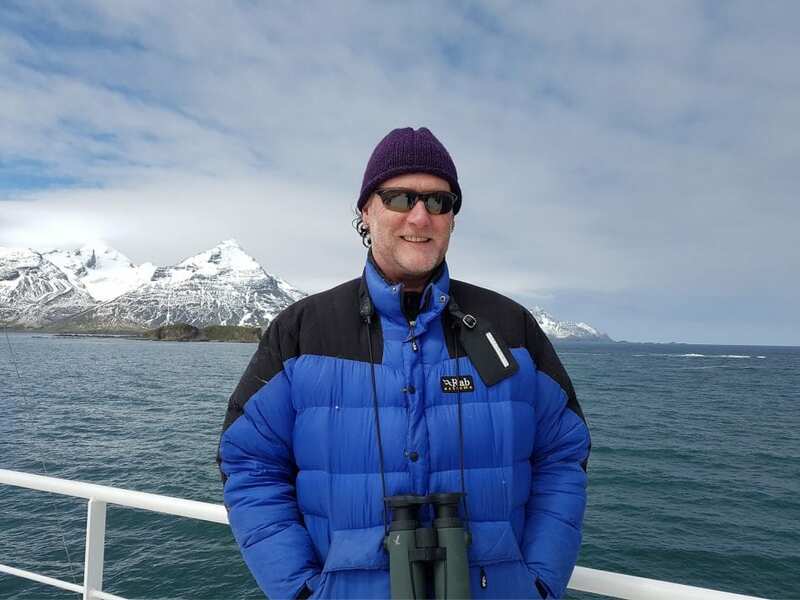 He spent the month of November last year on an Antarctic expedition with an extraordinary group of scholars, environmentalists and scientists. 100 years after Ernest Shackelton and his team’s 1914-1917 transcontinental journey to the South Pole and their improbable story of survival, environmental scientist Tim Jarvis, Blue Ocean Institute founder, author and TED speaker Carl Safina, Dutch nature photographer Frans Lanting, and several dozen others revisited Shackleton’s Antarctic journey as part of a Wilderness Travel special expedition trip to the frozen continent. The month-long adventure produced a bevy of incredible memories with long-time friends. It also produced powerful discussions on the Antarctic Treaty, climate change, elevated carbon levels in glacial ice, the oceans, green technology, and related topics. Having explored the world and worked with some of its most brilliant environmental scholars, Con is cautiously optimistic that on a global level we are slowly moving in the right direction. Con has also spent nearly three decades leading trips for Wilderness Travel, and is one of their most experienced trip-leaders. An itinerary and selection of testimonials showcasing his work with Wilderness Travel can be found on their website. 40 years ago a restlessly adventurous Gaelic boy knew that he wanted to share his wild Irish landscape with the world. He is now a testament that success is measured by far more than the bottom line of a ledger. Con Moriarty has shared with all who’ve met and explored with him that the only way to do great work is to love what you do. And each of us is richer for it. Register for TBEX Europe 2017 in Killarney Ireland. 3 Oct – 5 Oct 2017. Please use #TBEXIreland when posting and sharing your experiences at TBEX Europe 2017! 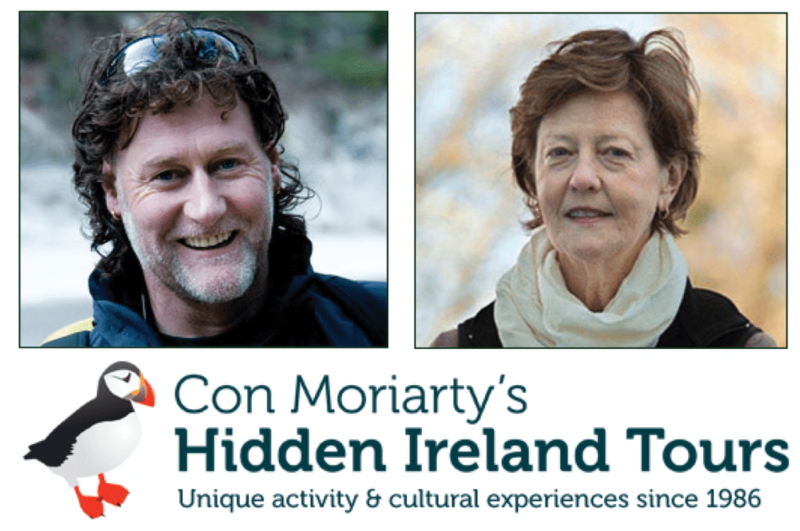 All photos in this post are property of Con Moriarty and Hidden Ireland Tours. So glad we were able to get together in Kenmare for breakfast and a planning session. As always we benefit from your experience, wisdom and advice. BTW we loved your brother’s place in the Gap of Dunloe; beautiful location, great and impressive restaurant w/ fab food! Leslie loved her birthday in Kenmare! The next trip will be much sooner. Cheers to you; good health and great fun.